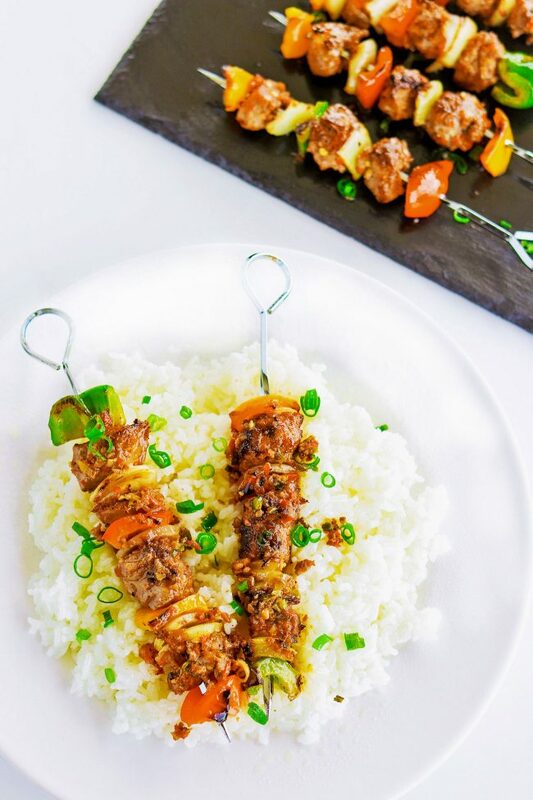 These Spicy Grilled Asian-Cajun Chicken Skewers are great party appetizers and easy to cook on a stovetop griddle, outdoor grill, or in the oven. 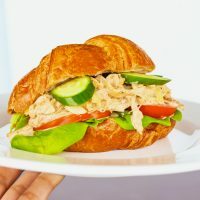 Chicken pieces are first marinated in a delicious Asian-Cajun marinade, and then grilled with a rainbow of bell peppers and onion until perfectly charred on the outside and juicy on the inside! Ok guys, we need to talk. It’s freezing out here in Hong Kong this winter and I honestly feel like my toes are going to snap off everytime I leave the apartment or enter my kitchen to cook without a jacket! The situation is REAL my friends, and I actually am throwing on two, three, and occasionally FOUR layers when it drops below 12°C. 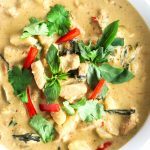 It’s safe to say that if a recipe is easy and quick to make this time of the year and doesn’t take a lot of effort, I am totally all in – so I can get back to warming myself in front of my bedroom heater! 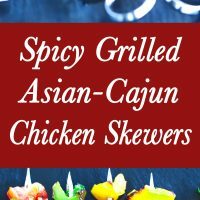 And enter these quick & easy and brilliantly flavorful Spicy Grilled Asian-Cajun Chicken Skewers! Actually, I love BBQs anytime of the year to be honest. But since I live in an apartment in a tall skyscraper, weeknight BBQs in my backyard aren’t exactly possible. 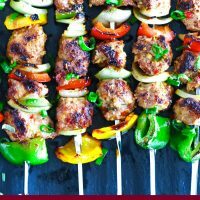 If you’re in the mood for some yummy fusion-ish grilled chicken skewers my friends, then this recipe is totally for you. Everyday Ingredients: The ingredients list might seem lengthy, but it all comes together super quickly. 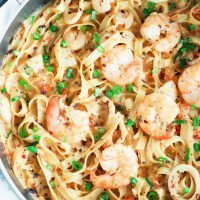 You probably have most of the ingredients at home already. BE-A-UTIFUL! : Simply put, it’s a party for your eyes and your mouth. 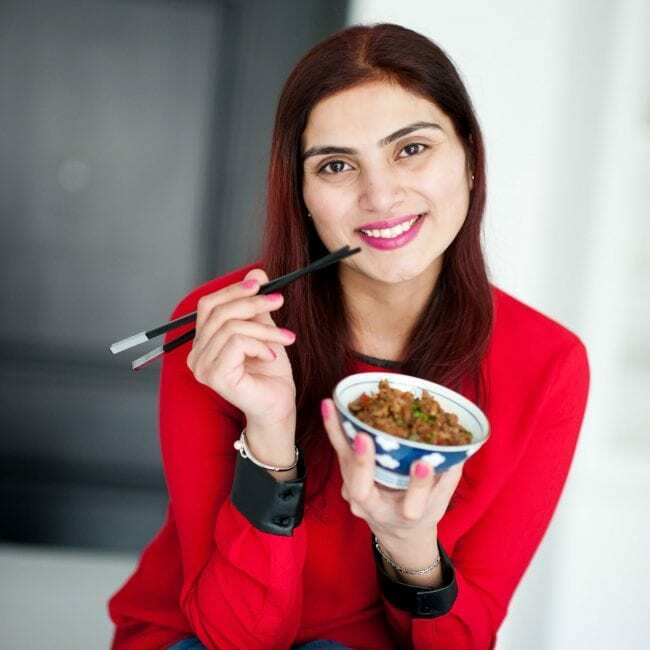 Add some green flavor: Sprinkle them with some chopped spring onion just before serving, and maybe some coriander leaves too. Trust me, your taste buds will thank you for that extra bit of green freshness! 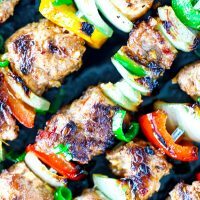 Use tongs: You need them for turning the skewers on the griddle, grill, or oven. This may sound like an obvious thing, but just want to put it out there because you might get too excited (like me 🙄) with the aromas coming off your grill and you might forget your common sense (like I did) and try to use your hands to turn them (it burns, so DON’T do it!! 😖). 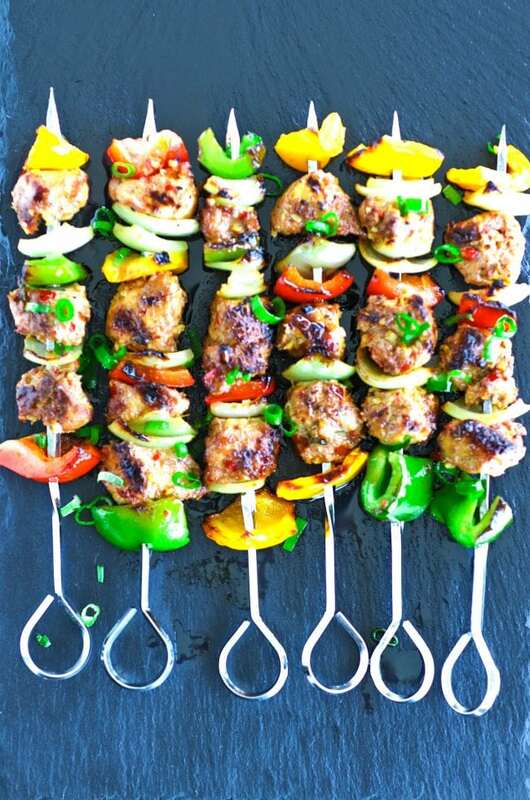 Right then, go grab all the ingredients you need for these skewers and have yourself a little grilled chicken party tonight! Chicken Marinade: Combine all the ingredients for the chicken marinade in a large bowl. 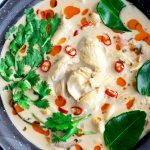 Mix thoroughly with a spoon to ensure that the chicken pieces are coated well in the sauces, seasonings, and chopped garlic, ginger, and chilies. Cover the bowl with cling wrap and set aside for 45-60 minutes or overnight in the fridge for best results. Thread the skewers: Dice the onion and bell peppers. 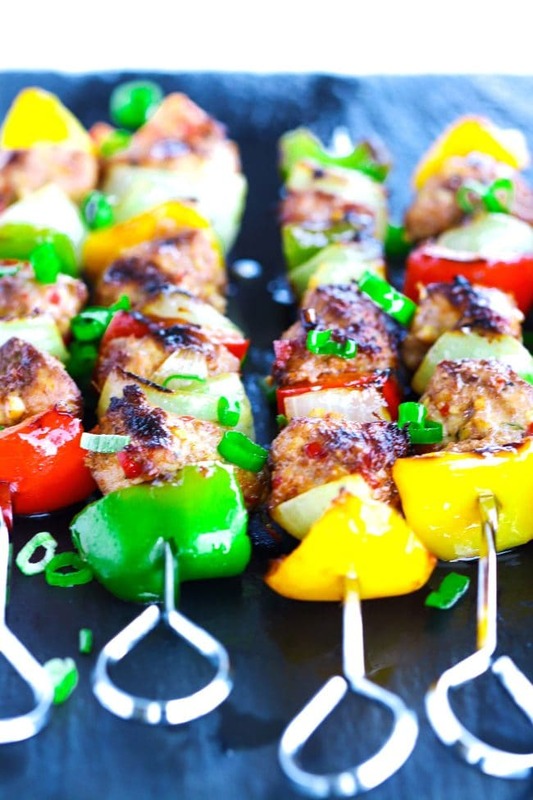 Thread them along with the marinated chicken pieces on metal or wooden skewers. (Note: Make sure to soak the wooden skewers in a bowl of water for at least 30 minutes to prevent them from burning on the grill pan/griddle.) Discard any remaining marinade liquid in the bowl. 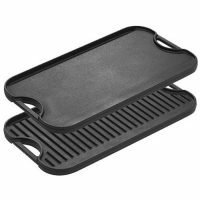 For the Stovetop Griddle/Grill Pan: Heat olive oil on a stovetop griddle/grill pan over medium-high heat. Line up the chicken skewers on the griddle/grill pan once the oil is hot and cook for 10-12 minutes, turning once or twice, until fully cooked through. (Note: you may need to do this in batches in order to not overcrowd the griddle/grill pan.) 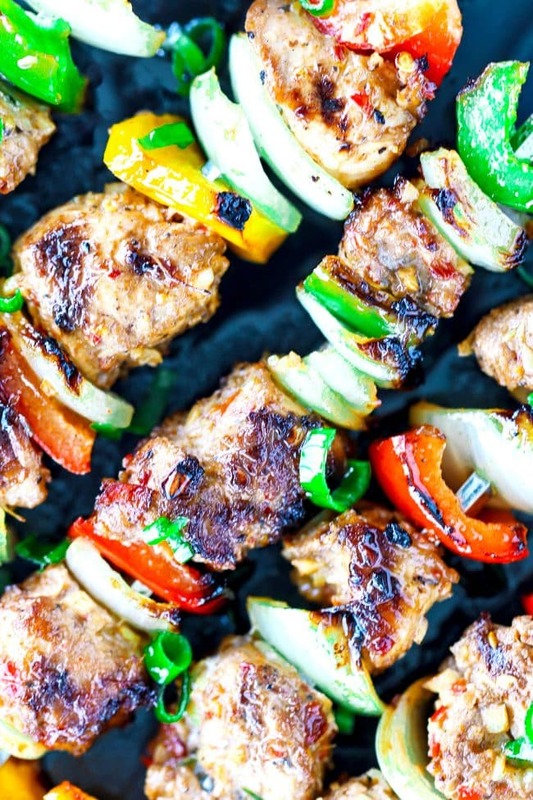 Once fully cooked, transfer the skewers to a serving plate and set aside. For the Outdoor Grill: Oil your grill grates with canola or peanut oil (or any other oil with a high burning point) and then set to medium-high heat. 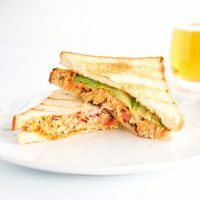 Once hot, place the skewers on the grill and cook for 5-6 minutes on each side, turning once, until the chicken is fully cooked through and no longer pink on the inside. 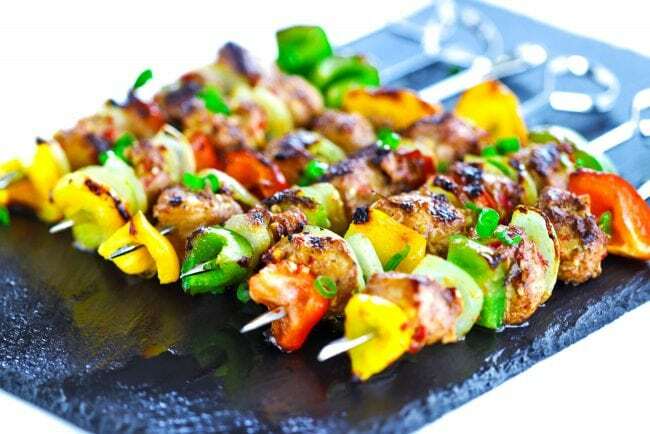 Once fully cooked, transfer the skewers to a serving plate and set aside. For the Oven: Preheat the oven to 200°C/400°F. 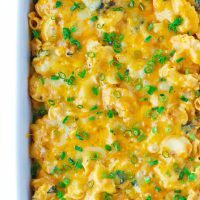 Line a large baking tray with aluminum foil and brush lightly with olive oil. 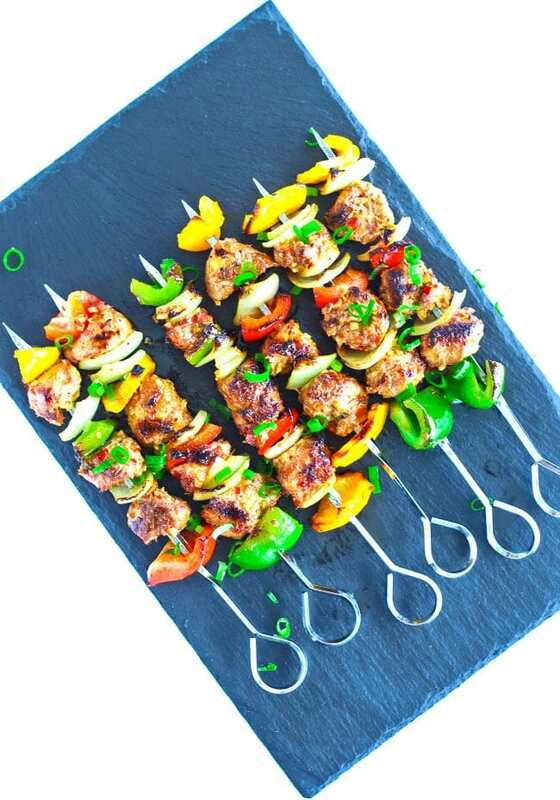 Place the skewers on the foil and cook for 5-6 minutes on each side, turning once, until the chicken is fully cooked through and no longer pink on the inside. 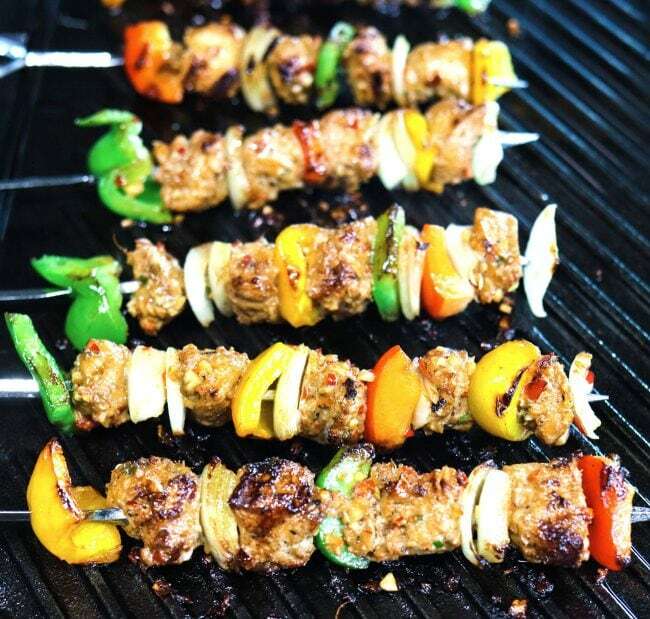 Once fully cooked, transfer the skewers to a serving plate and set aside. 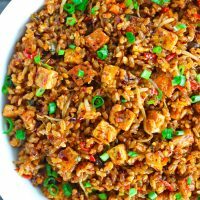 To Garnish/Serve: Garnish with freshly chopped spring onion and serve as an appetizer or with steamed white rice and a side salad as a main dish. Pan-fry: You can also pan-fry the chicken skewers until they are cooked through. 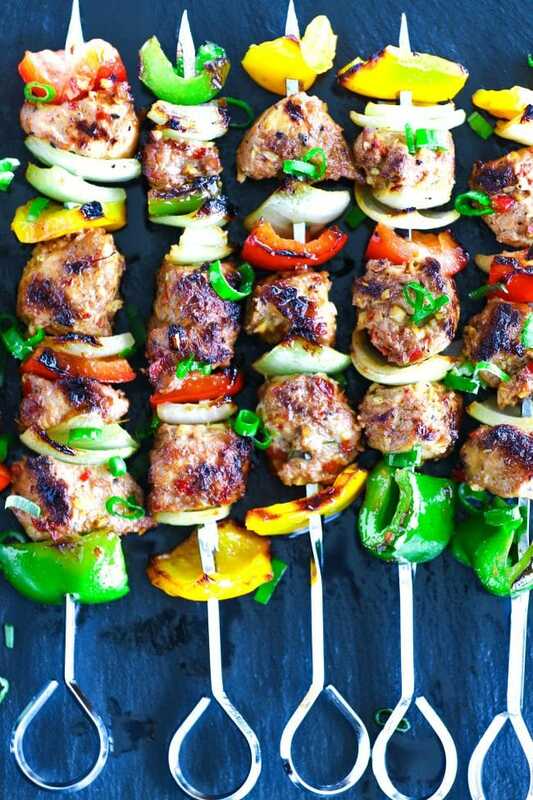 If you’re making these for dinner and are in a hurry, skip threading the skewers (step 2) and just pan fry the marinated chicken cubes along with some diced bell peppers and onion until the chicken is fully cooked through. 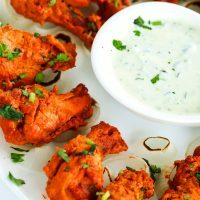 Dipping sauce ideas: I usually like to serve these chicken skewers alongside with a dip and make a little extra marinade in a separate bowl, then pan fry it in olive oil with some chopped spring onion. 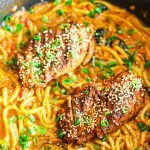 You can also just serve it with your favorite chili garlic Asian sauce or other favorite condiment. Taiwan thick soy sauce/paste: Taiwan thick soy sauces are different than other types of soy sauce. 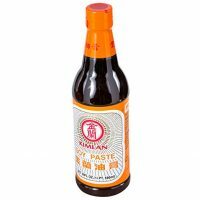 The one I used is commonly known as Kimlan Soy Paste in the US, and it’s made from a wheat and soybean combination (as opposed to black beans like in other thick soy sauces from Taiwan). The thickness comes from both rice and starch, and the sweetener and sugar in it is what gives the chicken skewers its nice reddish-brown glaze. 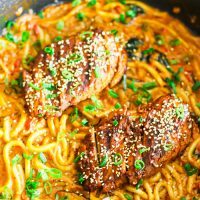 Chances are that this type of soy sauce will be available in your go-to supermarket, but if that fails, you will definitely be able to grab a bottle in your local Asian store. Time included for the recipe does not account for the time if you are marinating the chicken overnight.